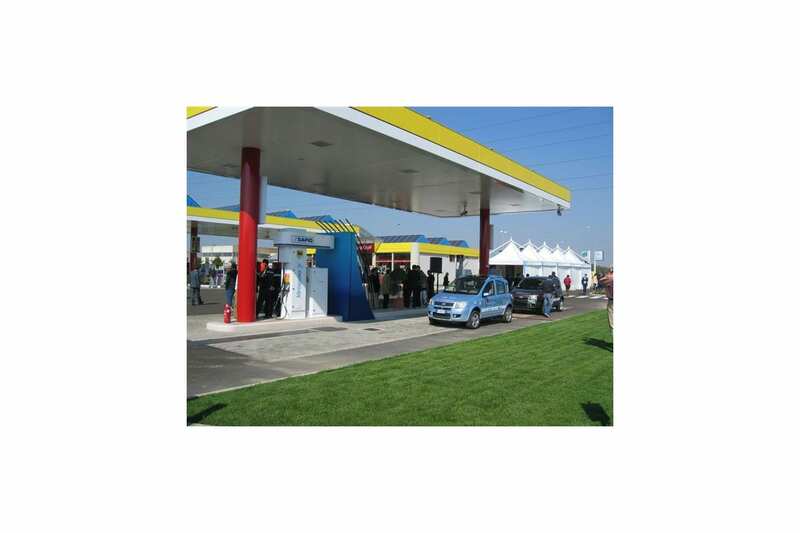 Air Products hydrogen refueling station for vehicles at Sapio, Italy using a PDC Machines fueling station hydrogen compressor. The compressor meets European specifications. 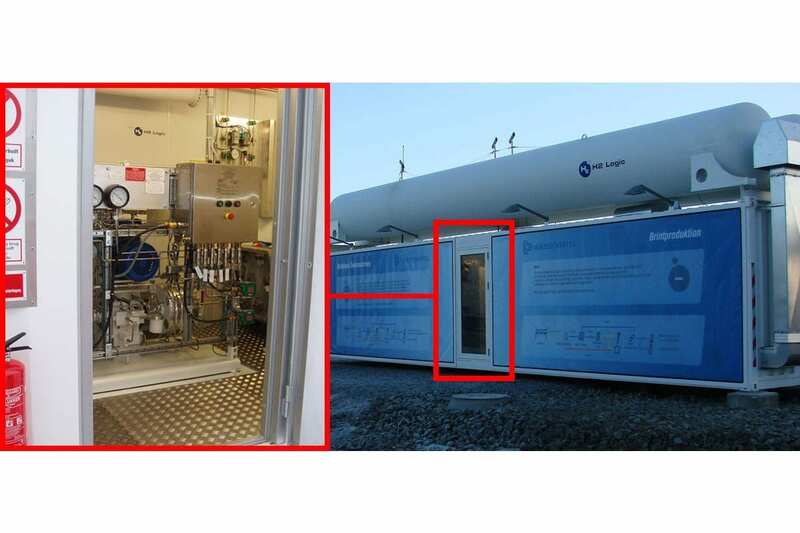 Linde Hydrogen fuel cell station for fork-lift refueling, using a PDC Machines hydrogen diaphragm compressor. 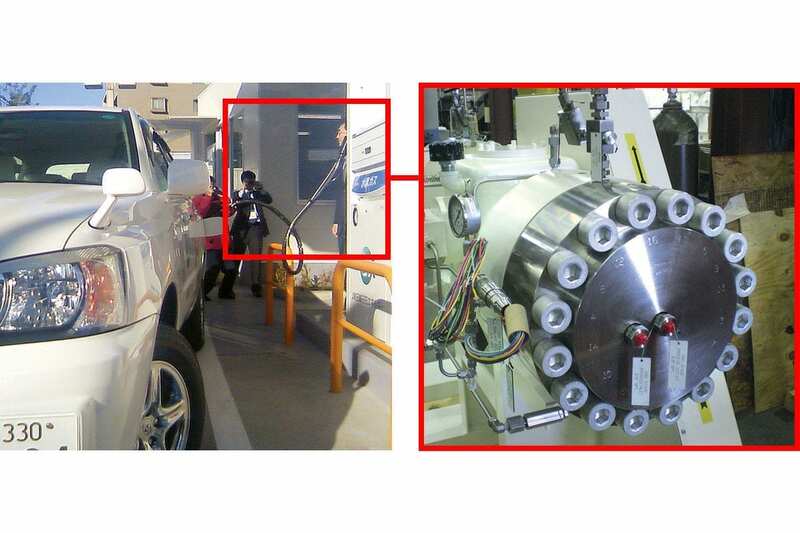 PDC Machines’ diaphragm compressor as part of Japan Air Gases supplied hydrogen fueling station to ENEOS in Tokyo, Japan. This compressor meets Japanese KHK specifications. 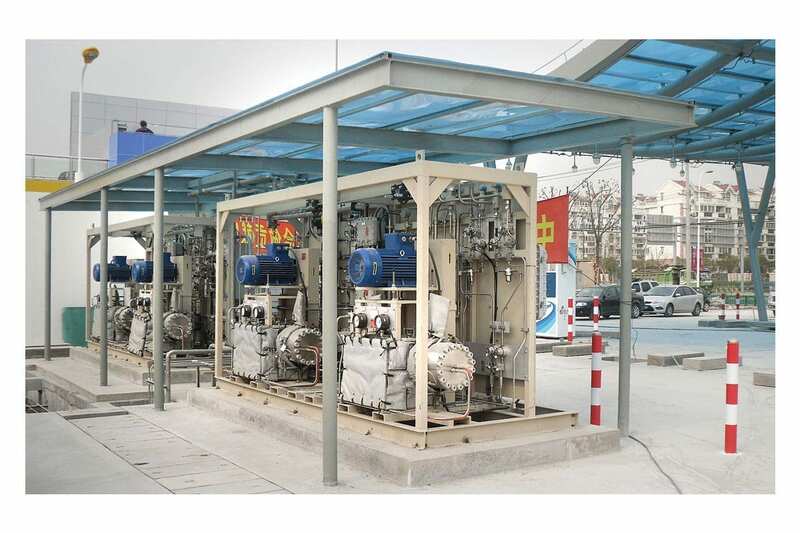 Four PDC Machines diaphragm hydrogen compressors used as part of the 2010 World Expo in Shanghai, China for bus and vehicle fueling. Hydrogen fueling station supplied by H2 Logic for Nuuk, Greenland. 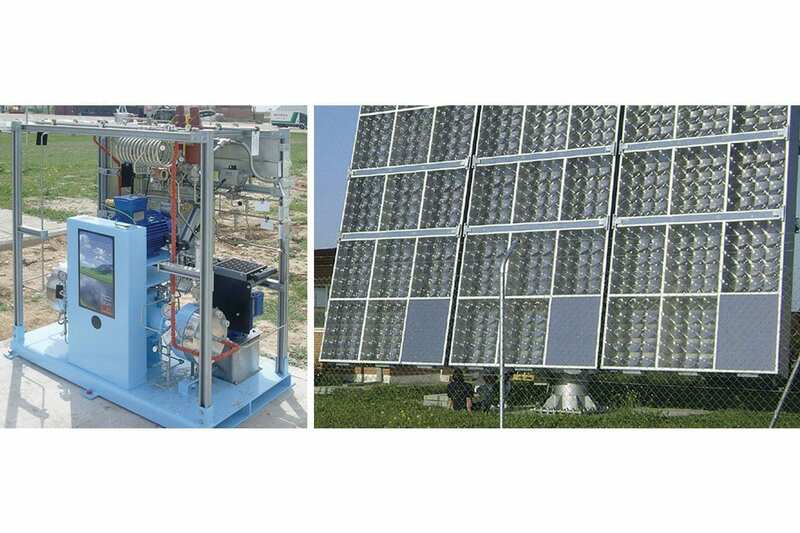 The compression system provided by PDC Machines is for delivering hydrogen into storage. This compressor meets European specifications. PDC Machines compressor for residential, power generation & telecommunications. PDC Machines Diaphragm compressor supplied to South West Research Institute for delivering syngas for biofuels generation from biomass feedstock. Boeing Research & Technology, off grid solar-powered hydrogen refueling station for UAVs at Ocaña airfield, Spain, to maximize the endurance of UAVs. 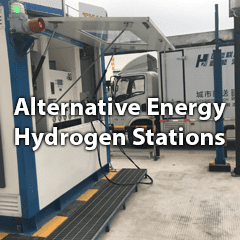 PDC Machines specializes in providing complete hydrogen compression solutions for the world’s most demanding hydrogen energy installation whether it is stationary, 350 and 700 BARG fuel cell vehicle, bus or material handling. 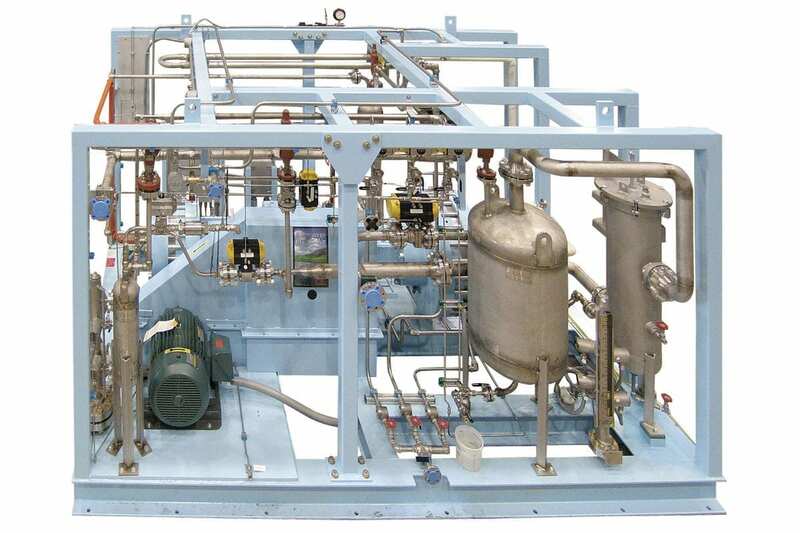 We offer an extensive line of standard compressors along with turn-key engineered and designed compression systems to meet a wide range of applications ranging from single demo sites to full-scale production stations. PDC Machines’ hydrogen cylinder filling compressors are ideal for off loading hydrogen from tube trailers and filling high pressure ground storage tanks and tubes. 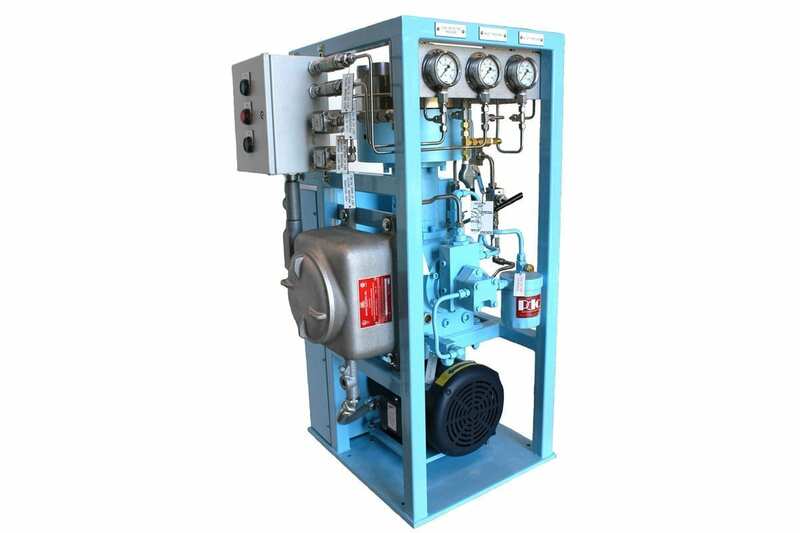 PDC Machines offers a compact single stage model which can take 145 Psi (1 MPa) suction to 6,500 Psi (45 MPa) discharge with a flow rate of 1 Nm3/hr, with power consumption of less than 1.5 kW. This model does not require any water for cooling. Noise level is below 85 dBA at one meter. The footprint is approximately 18″ x 18″ x 36″ high [457 x 457 x 914mm]. The weight is 550 pounds (250 Kg.). 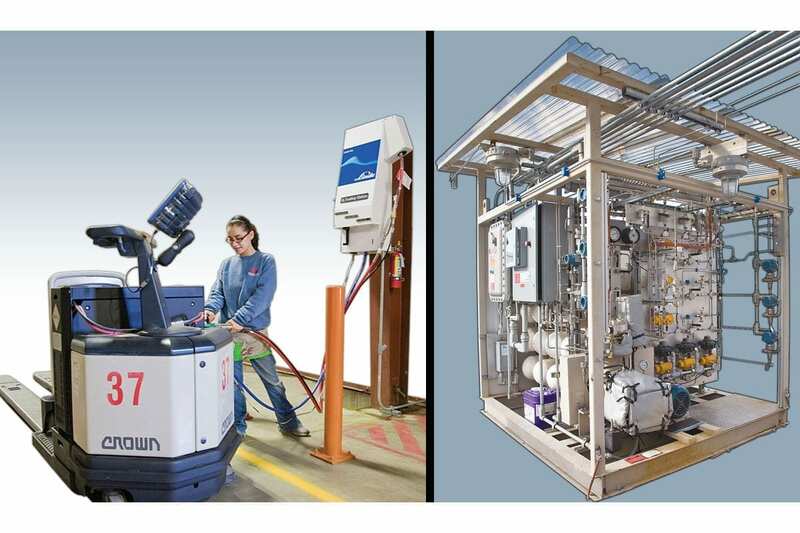 Many customers incorporate this compressor in their portable cabinets along with their electrolyzers, reformers, cylinders, storage, fuel cells and electrical gears as a complete power producer. As the world pursues a greener environment, the trend is to develop and promote clean renewable energy. 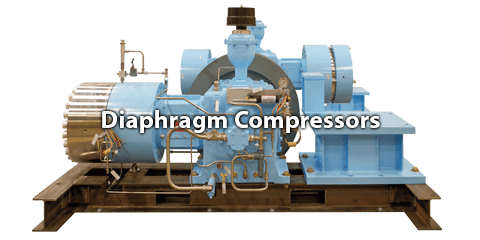 PDC Machines has partnered with firms active in this field by providing diaphragm compressors for delivering feedstock gases such as syngas for production. 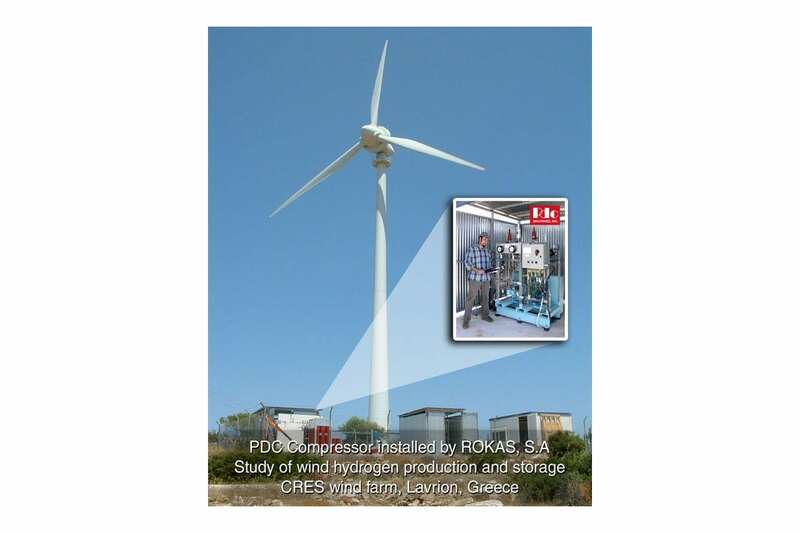 The electrical power from wind turbines can be used to supply a water electrolyser, in order to electrochemically split water into its elements, hydrogen and oxygen. Electrolysers can operate with variable power input. 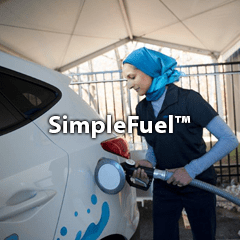 The hydrogen produced can be compressed and stored for later use, either in a stationary fuel cell to produce electricity when there is no wind, or to supply a hydrogen vehicle.